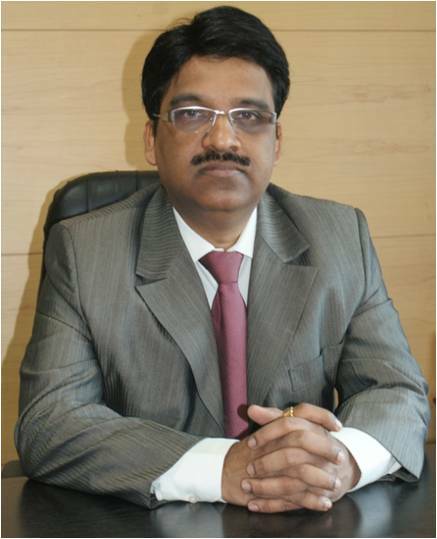 Mr. R.K. Behera (RKB) is the founder and Chairman of RSB Group. Mr. RKB is a graduate in Mechanical engineering and has undergone specialized training in several areas of Industrial Management. Mr.RKB is a member of several professional and trade organizations such as Confederation of Indian Industry, Value Engineers Association of India, Indo German Chamber of Commerce, Maharatta Chamber of Commerce. He has over 30 years of experience in Auto industry. Mr. S. K. Behera (SKB) is a graduate in Commerce and has undergone specialized training in Production Management System. Mr. SKB is an Executive Committee Member and Regional Chairman (East) of ACMA. He is in the governing council of Indo-Danish Tool Room, Jamshedpur. 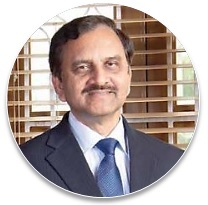 Mr. SKB is a committee member of Red Cross Society of India and is also associated with CII. He has over 28 years of experience in Auto component industry. Mr. Sailendra Behera is a Bachelor of Mechanical Engineering and has undergone advance training in Cutting Technology (Israel), Total Production Management (Japan), QS 9000 training in TUV (USA), and Gear Technology in Italy and Turkey. He holds a Master degree in Law and is a gold medalist. After practicing as an advocate for about 6 years, he migrated to corporates and worked for over 21 years with different organizations like Alfa Laval, Brooke Bond India Limited (now part of Hindustan Uniliver )and Larsen & Turbo Limited. For the next 12 years, from 1998 to 2010, he was the Group General Counsel of the Aditya Birla Group, spearheading mergers and acquisitions. He has now relocated to Bangalore and works as an independent corporate consultant. He is a retired Indian Administrative Service Officer of 1967 Batch, Maharashtra Cadre. He is M.A. in Political Science & Public Administration. He has over 37 years of experience as IAS and has held several positions at the District, State and Central Levels. He worked in different fields which included sugar industry of Maharashtra, upliftment of Labour in State and Central Level, generation & distribution of power, gas distribution and infrastructure in Mumbai. He retired as Chief Secretary, Maharashtra in May 2004. 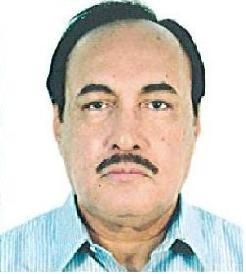 After retirement, in order to utilise his services for infrastructure development, he was appointed as Advisor to the State Government from June 2004 to March 2005. From August 2005 till August 2011, he served as the first Chairman of the newly enacted Maharashtra Water Resources Regulatory Authority, a quasi-judicial post. Former Chairman of Indian Oil Corporation Limited, India’s largest corporation . He has done his Post Graduate Diploma in Business Administration from Indian Institute of Management, Ahmedabad and Graduation in Economic (Hons.) from St. Stephens College, New Delhi. 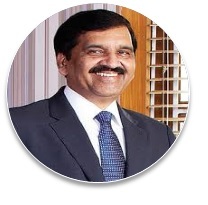 He started his career at Burmah shell/ Bharat Petroleum Corporation Ltd and during 32 years of his tenure moved across several functions viz Finance, IR, HR, Marketing, Planning, Logistics etc. Subsequently, in March 2005, he took over as Chairman, Indian Oil Corporation Limited where he served upto February, 2010. He was also the Chairman of Chennai Petroleum Corporation Ltd., IBP Ltd., Indian Oil Tanking Ltd.
She is a Chartered Accountant from the Institute of Chartered Accountants of India since 1996 and a Certified Fraud Examiner since 2004. 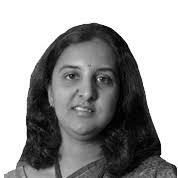 She has substantial investigative, forensic and risk consulting experience in USA and India. She has led and conducted investigations, regulatory proceedings and fraud risk assessments across companies in technology, consumer products, oil and gas, banking, insurance, retail and pharmaceutical/life sciences industry. She has testified as an expert witness in several domestic and international arbitrations and was the sole nominee from India in the International Who's Who of Arbitration Expert Witnesses 2014. At Grant Thornton, in addition to her role as National Leader for Forensic and Investigation Services in India and the sub-continent, she is also a member of the Global Forensic Steering Committee that establishes our strategy with respect to forensic services, education and training, managing risk and improving brand visibility. 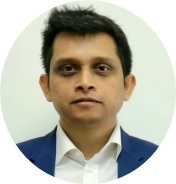 He has a Masters degree in Mechanical Engineering from Gannon University, USA and has undergone extensive training in M&A course at IIM Ahmedabad, Lean Manufacturing excellence (Japan), advanced course in financial management, Leadership Essential at Corton Vile, USA. He has been associated with the Company for more than a decade. He is a MBA from Leeds University Business School, UK. Few of his past work experiences include cross border M&A and various capital raising transactions at RSB. Prior to the corporate role he has also worked with operations where he has lead lot of cost reduction programs for the group through TQM initiatives. He has a Green Belt Certification in Six Sigma by Advanced Manufacturing Technology Associate Six Sigma Institute, lllinois , USA. He is a member of YBLF, ACMA- India and is also a member of the CII’s Pune zonal council. He has been associated with the Company for more than a decade.